Growth is intentional and self-awareness is the source of your success! John C. Maxwell says in order to reach your potential, you must be intentional about personal growth. The Brunch & Learn event, will help you understand how personal growth really works, and how you can develop yourself to become a more effective and fulfilled individual. You will learn how to build up your sense of purpose and become more successful in every area of your life. 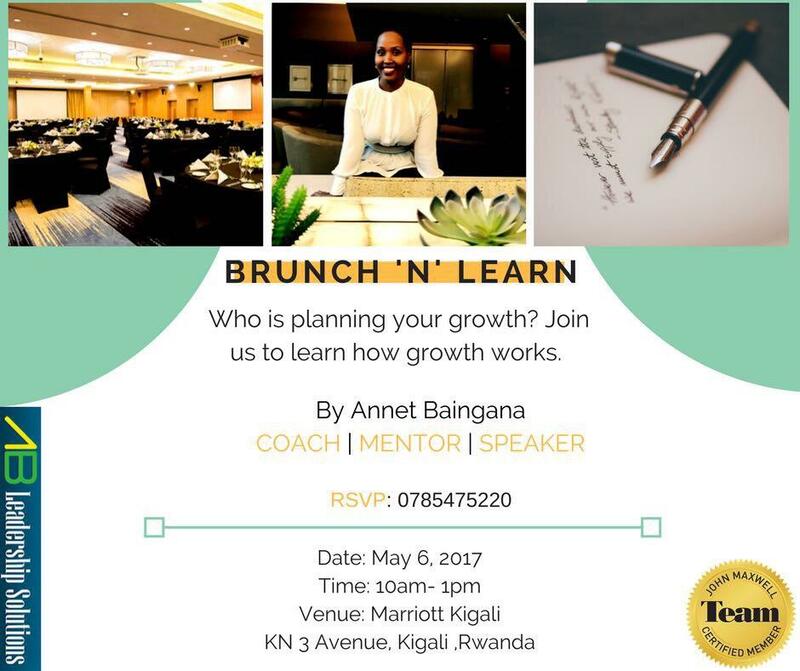 Come alongside Annet Baingana, in your growth journey to become the person you are destined to be!